Methods of application: Compatible with most American-made doweling machines. See your machine’s owner manual for details. 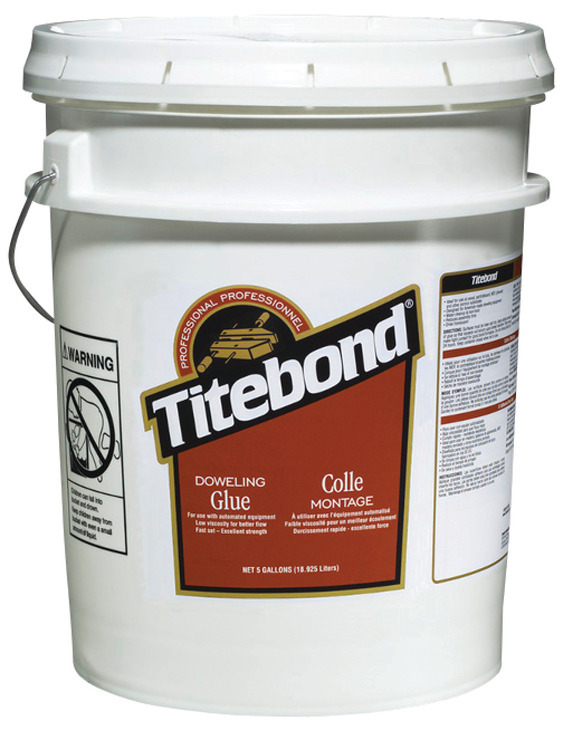 Titebond Doweling Glue is specifically formulated for use with American-made doweling equipment. Because of its low viscosity, it is not well suited for other assembly applications. This product may used as supplied or diluted with water by as much as 5% to improve flow. Not recommended for exterior use or where moisture is likely. 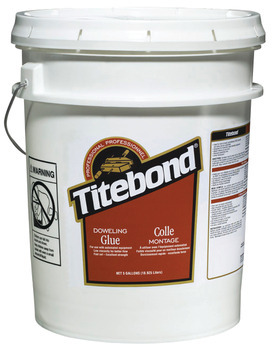 Do not use when temperature, glue or materials are below 50°F. Freezing may not affect the function of the product by may cause it to thicken. Read MSDS before use. NOTE: STIR PRODUCT BEFORE USE TO ENSURE UNIFORMITY. KEEP FROM FREEZING.